FUNDAMENTALVR APPOINTS HYBRID HEALTH AS EXCLUSIVE CHANNEL PARTNER FOR AUSTRALIA AND NEW ZEALAND. Following Launch of Fundamental Surgery in Australia and New Zealand, FundamentalVR Expands Distribution with the Appointment of Hybrid Health as Exclusive Channel Partner. FundamentalVR, pioneers of immersive training technology for the medical community, today announced the expansion of their global sales network with the appointment of Hybrid Health as exclusive channel partner for Australia and New Zealand markets. Hybrid Health bring great experience and connections to energize FundamentalVR’s entry into this vast and dynamic region. And will help spread and develop the company’s global training platform, Fundamental Surgery, a first-of-its-kind SaaS platform that combines virtual reality (VR) with cutting-edge haptics to create a low-cost and scalable flight simulator experience for trainee and qualified surgeons. Unlike other medical training simulations, Fundamental Surgery creates an authentic environment that allows users to experience and navigate the same visuals, sounds and feelings they would during a real surgical procedure. This new appointment accompanies the launch of Fundamental Surgery across Australia and New Zealand in September 2018. Designed to improve patient outcomes while combating the increasing cost of medical training that tops $1 billion annually in the two countries, the initial offering focuses on training packages within the Orthopedic Surgical disciplines, including Spinal Pedicle Screw, Posterior Hip Replacement and Total Knee Arthroplasty. Further orthopedic procedures are slated for Q4 2018 with other disciplines, including general surgery and cardiovascular slated for 2019. Hybrid Health will continue the company’s global mission to democratize surgical simulation training, allowing it to be easily accessible to every surgeon in the world for the benefit of society. In particular, they will focus on expanding Fundamental Surgery in the Australia and New Zealand market. Hybrid Health is an ecosystem of healthcare technologies, founded with a strategic focus on bringing niche technologies to the Australian and New Zealand markets, both medical devices and disruptive, scalable software platforms. They partner with the most exciting global companies that share a vision to improve healthcare and patient outcomes with new technology, and support the research and development of tomorrow’s ideas. Hybrid Health’s partners include Fundamental Surgery, Device Technologies Australia. For more information, please visit: www.fundamentalsurgery.com. FundamentalVR is a technology company specialising in immersive experiences to enhance medical training. It has developed Fundamental Surgery as a SaaS platform featuring VR Haptics technology that takes advantage of readily available virtual reality hardware to create a simulation system that can be used on any modern VR-enabled PC set up – even a laptop. 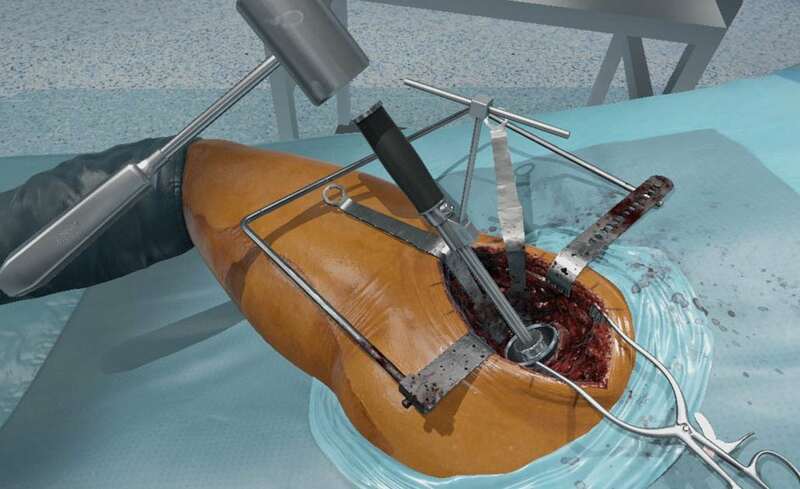 Fundamental Surgery gives healthcare professionals around the world access to authentic surgical simulations at low cost.